All around me people are hurling insults at each other. The crowd sways this way and that… and I’m stuck in the middle. If I was anywhere else I’d be concerned that I was about to be caught in the middle of a mass brawl. But this is Tejina (the one near La Laguna, not the one above the south west coast) where shouting abuse at your neighbours shows you love them really. 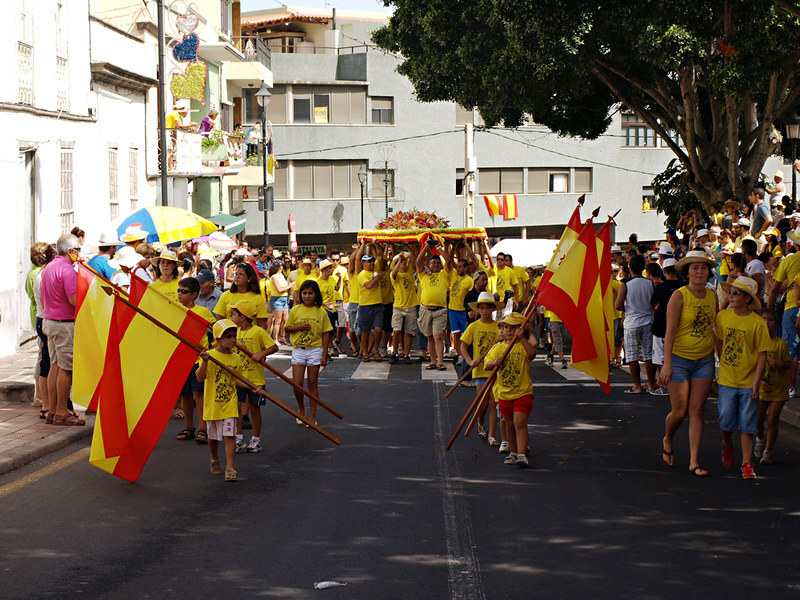 The Corazones de Tejina (Hearts of Tejina) is one of the ‘odd’ little fiestas on Tenerife. Not that it’s that little, you could hardly fit an anorexic fly into the plaza in front of the Iglesia de San Bartolomé it gets so jam-packed with people. 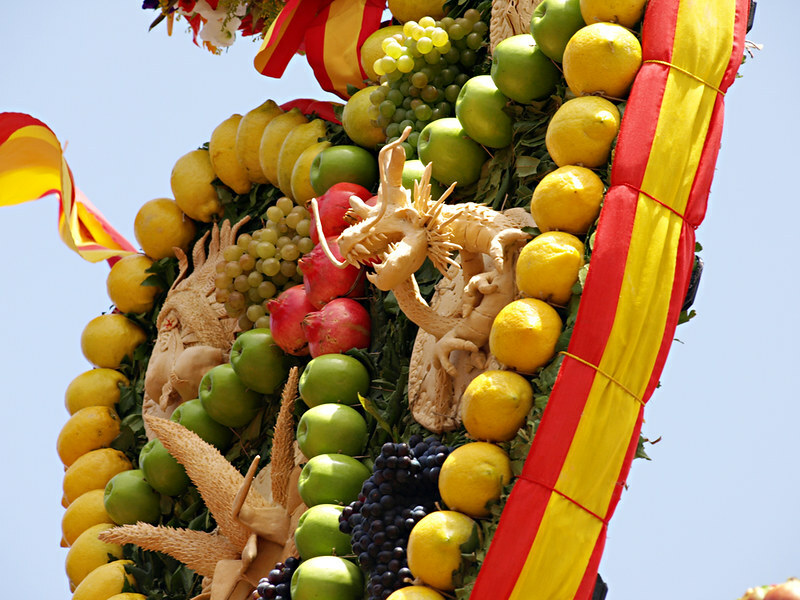 As well as being one of the oldest fiestas on the island, some say its roots go back to the good old pre-Hispanic days, it’s also one of the most charming thanks to the three giant, edible (sort of) hearts that are the cause of the insult hurling. 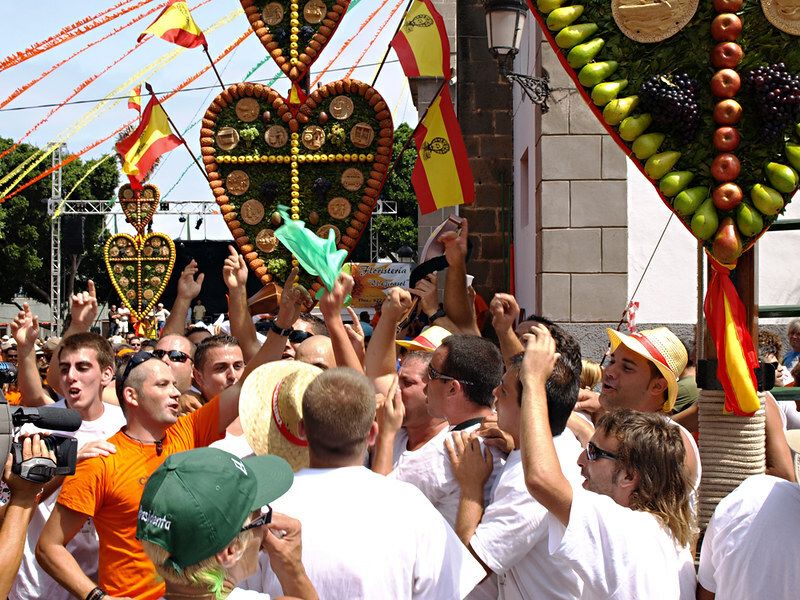 Like quite a few of the fiestas on Tenerife, the celebrations surrounding the Corazones de Tejina involve a mix of pagan and Catholic rituals. 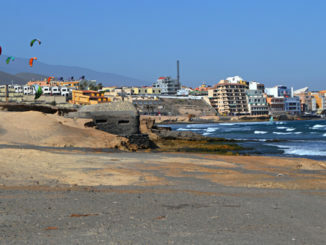 It might seem a contrasting combination, but it’s so commonplace on Tenerife that the marriage seems perfectly normal. At around 11.30am on the Sunday closest to the 24 August (don’t take that as a given, how fiesta days are worked out can be a bit of a mystery, so check actual dates each year), the residents of three streets – El Pico, Calle Abajo and Calle Arriba – carry their hearts through the streets of Tejina. At this point, things are all quite civilised with each heart being accompanied by a parranda (band of local musicians with instruments like timples, drums and seed pods). When they congregate in the plaza that things turn nasty. 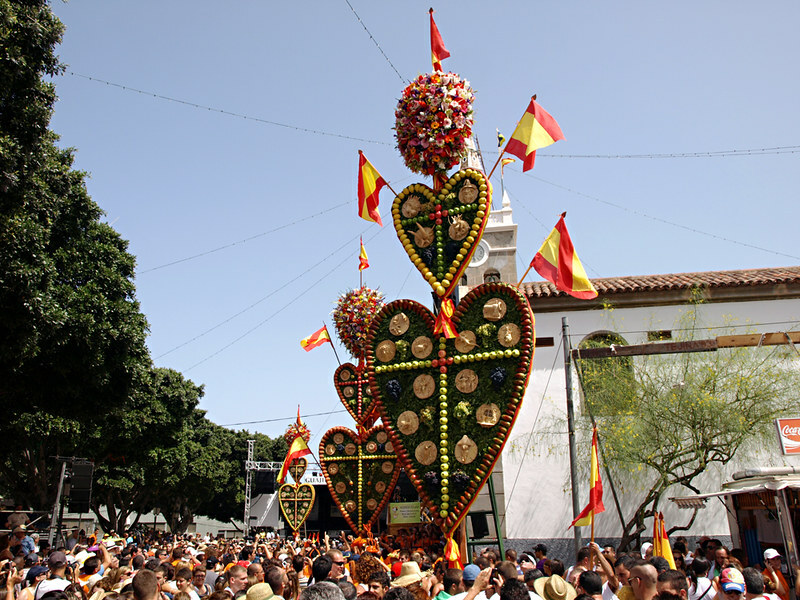 All three hearts are ‘offered’ to San Bartolomé before each street races against their rivals to be the first to get their heart erected on special poles. Once all the hearts are in ‘pole’ position, it’s easier to see just how beautiful and clever these wonderful 12 metre high creations are. 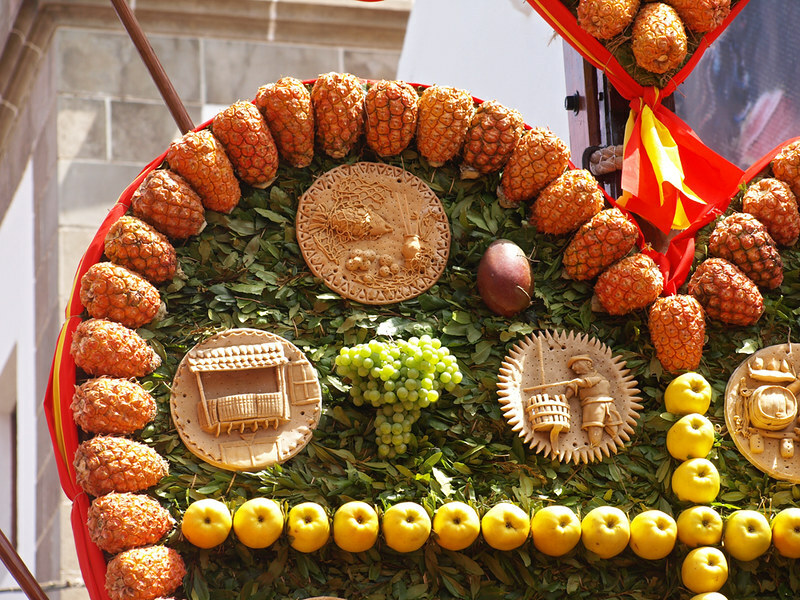 The hearts are constructed using wood and metal frames decorated with tortas (pastries depicting local scenes and traditions) and fruit that is often of far better quality than that sold in my local supermarket. There are two hearts, one large and one small (the chica) topped by a thick bouquet of flowers. When the hearts are in place, the residents of the three streets move to the other hearts to have a gander and to loudly pass comment (more destructive than constructive criticism). Rival hearts are never nearly as good which is made very clear by the abuse and finger pointing that goes on. This part is described in official tourism blurb as ‘crowds gather round to get a glimpse of the elaborate handy work’ which doesn’t quite nail it. 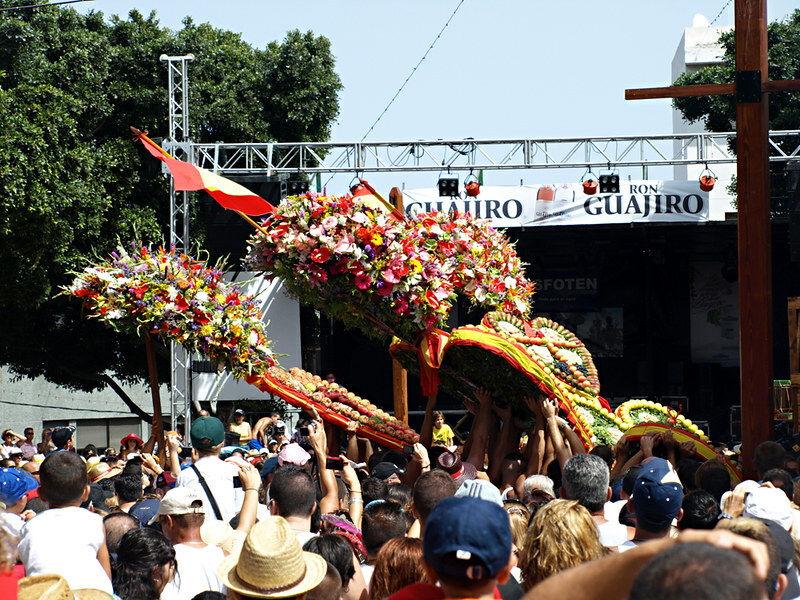 As is always the case with fiestas, the best approach to take is to dive in and head to the middle of the throng where not only is the atmosphere most intoxicating, you also get a close up look at the hearts. 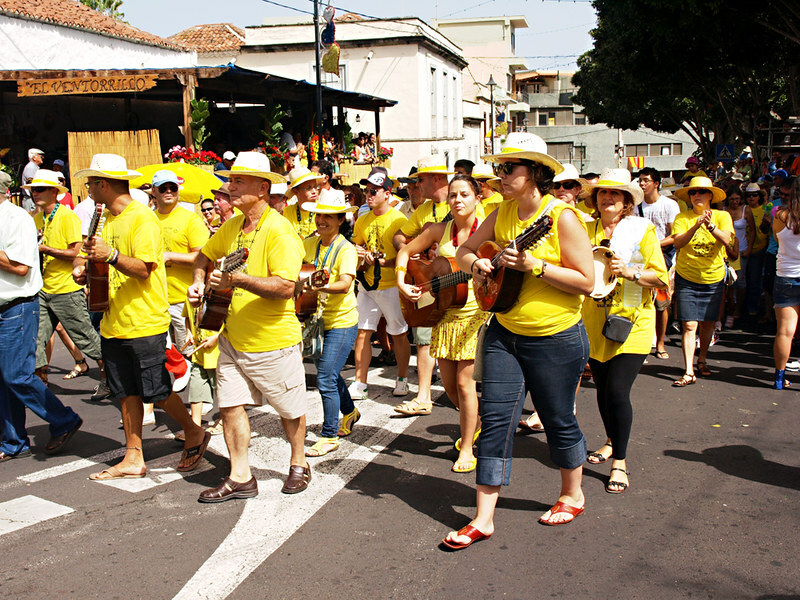 For first timers the whole shebang might appear quite anarchic and very noisy; the bigger and more boisterous Tenerife fiestas aren’t everybody’s scene. 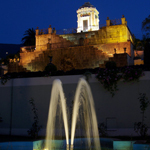 But, despite the abuse, it’s really a very friendly affair that illustrates the strength of community that still exists in Tenerife’s traditional towns. 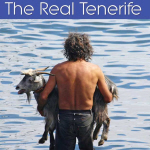 It’s fun as well as a fascinating insight into life in Tenerife. As well as the giant hearts, there are roaming musicians, food kiosks and stalls selling the sort of cheap pap that use to be on sale at dodgy funfairs when I was a kid. It’s lapped up here. 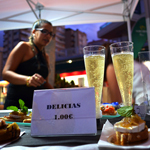 The corazones stay in place till 6pm the following day when there’s a bit of a bun fight as they’re ‘deconstructed’. Even then the fiesta isn’t over, but that’s another whole anarchic scene for another day.